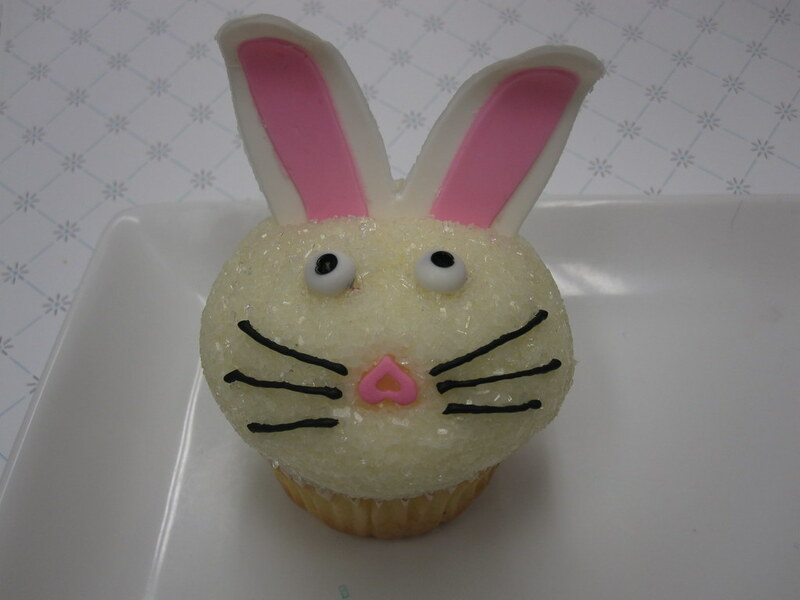 I love this adorable Easter rabbit cupcake by Pleasantville, New York's Flour & Sun Bakery. I always know when certain holidays are coming up by the cupcakes that start popping up. 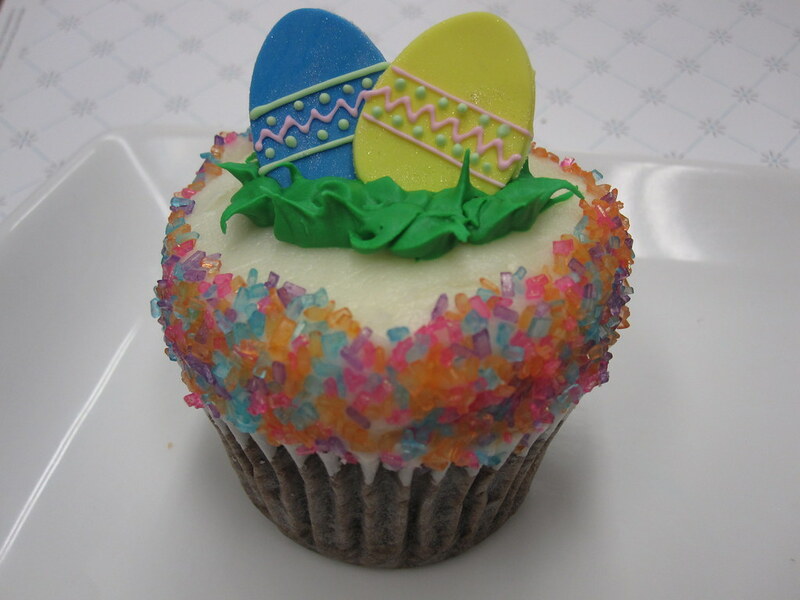 This week we'll, naturally, be focused on St. Patrick's Day but I'm seeing Easter cupcakes already. This one is via Flickr and you can get ordering information at www.flourandsunbakery.com. This rabbit cupcake was inspired by Bakerella's rabbit cupcake. An Easter egg cupcake they're doing. 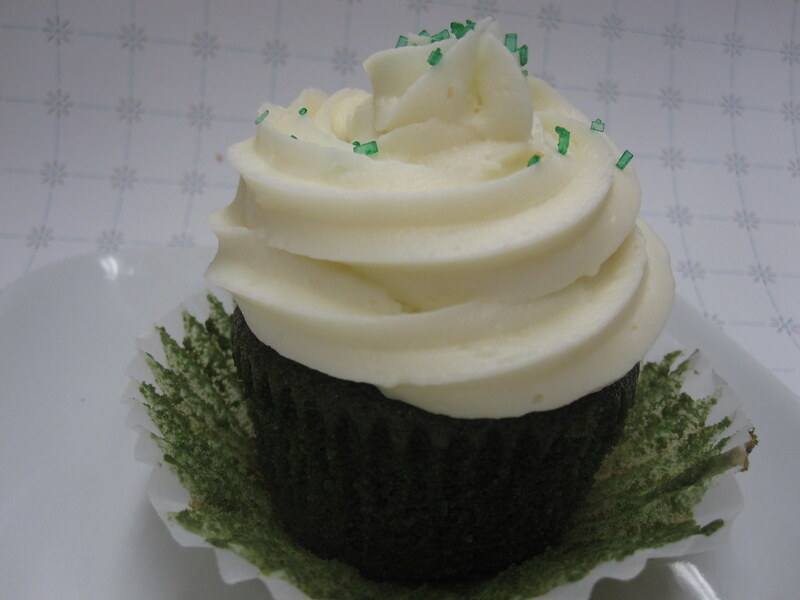 And to keep in the more timely holiday, a green velvet cupcake for St. Patrick's Day. 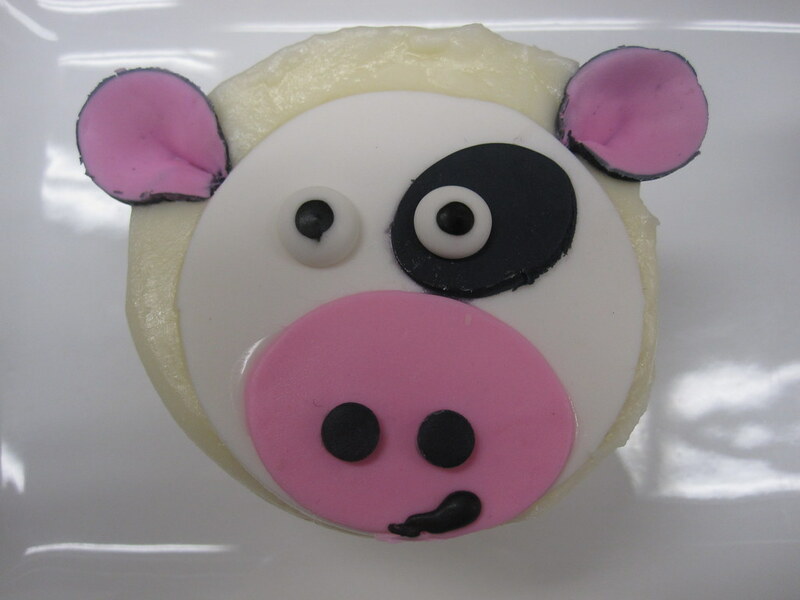 Cow cupcake via Flour & Sun Bakery blog - they are testing it out for their big one-year anniversary next weekend. 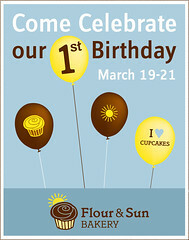 Flour & Sun Bakery, Westchester’s first and only cupcake bakery, celebrates its first birthday Friday, March 19 through Sunday, March 21. Flour & Sun specializes in made-from-scratch cupcakes using the finest ingredients with fun and creative flavor combinations, baked daily on the premises. Your browser may not support display of this image. During the weekend, the first 25 people to arrive at the bakery will be greeted with a free item: Friday – a bag of caramel popcorn, Saturday – a pair of cupcake truffles, and Sunday – a free mini cupcake. Over the three days, there will be raffles and giveaways as well as fun for children. We are also offering a free cupcake case for every dozen cupcakes purchased. It’s perfect for taking a cupcake on the go. And, you get a 25¢ discount each time you bring it back for a refill! For our Twitter and Facebook followers, we will be announcing special deals throughout the weekend.